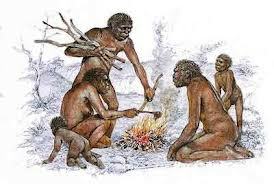 300,000 years ago, Enki, Chief Scientist for the goldmining expedition from the planet Nibiru to Earth, went North, to the Great Rift Valley (southeast Africa) to study an intelligent, fire-using hominoid, Homo Erectus [pictured below], the ancestor of modern Neanderthals (aka Sasquash, Bigfoot, Alma) as key to adaptations Nibirans would need to thrive on Earth. 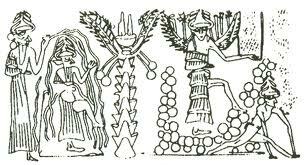 Enki, a Nibiran, and his cohorts on the expedition, are 9-12 foot tall Homo sapiens, much like us but longer-lived. 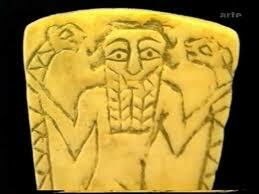 ANUNNAKI “GODS” TO RELENT on Male & Hereditary Rule, War & Conscription, Debt & Slavery?